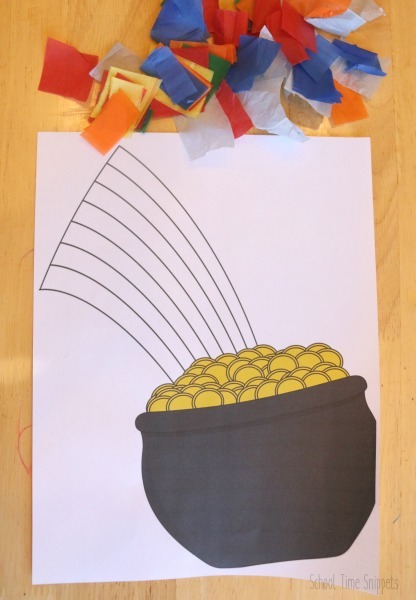 Celebrate St. Patty's Day with little ones by making this festive pot of gold craft! It's easy and not too messy-- which sounds like a winning combo to me! A couple of days of random spring like weather in March has put me in a mood to set up some rainbow crafts with the kids. Maybe if we all craft enough rainbows and flowers and other spring-y things, warmer weather will come.... now. 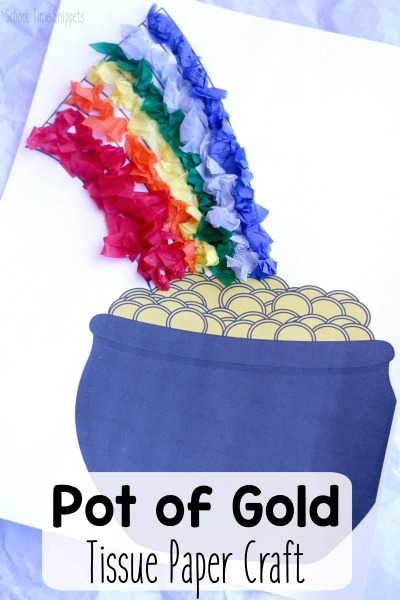 This Pot of Gold craft is an easy way to add some color to your refrigerator or wherever you choose to display your child's artwork. 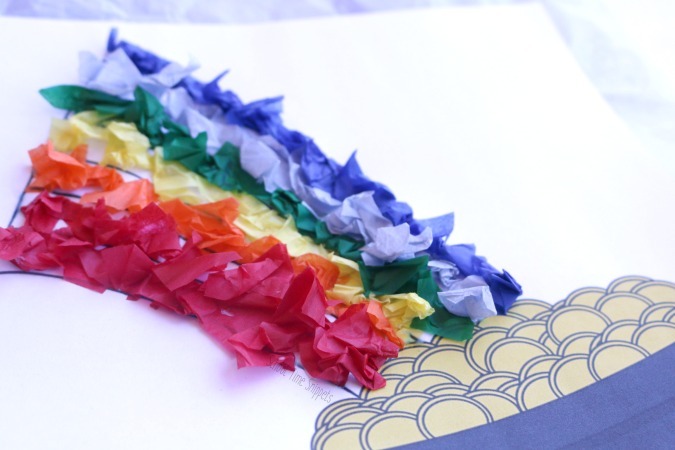 Prep the activity by cutting small squares of colored tissue paper to make the rainbow. Lay out the tissue paper squares, glue, and Pot of Gold printable template and invite your kiddos over to create a rainbow. The rainbow has rays for red, orange, yellow, green, blue, indigo, and purple-- however, most likely you won't have those colors in a pack of tissue paper. So! You'll need to figure out what colors you would like to double up. We did two rays of red and a light blue and a dark blue ray. 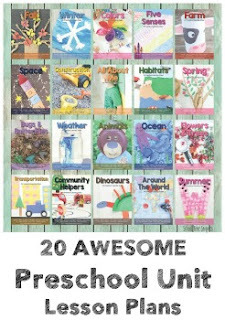 Once you have figured out the colors you will use for your rainbow and how many streaks of each color, add some glue to the printable. Then begin pinching and scrunching the tissue paper and place it on the glue. By using tissue paper, your little one will work on fine motor skills, too! Continue until the rainbow is complete with scrunched tissue paper. 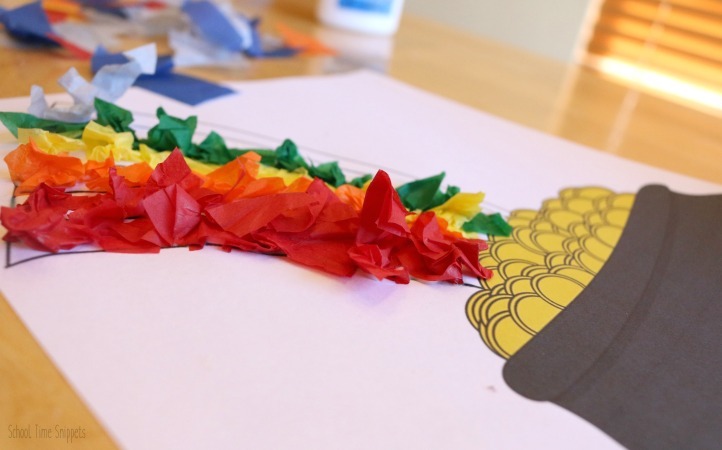 After your Pot of Gold Rainbow craft is finished, you could cut it out and glue it on another piece of construction paper. Or, it would be cute to add your child's name by writing, "____'s Pot of Gold" in the top corner. Hope you have fun scrunching away with this colorful rainbow craft! 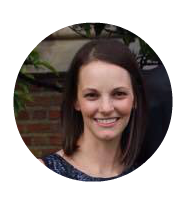 do not alter, mass distribute, copy, sell, or host this printable on another blog or forum.